The inspiration was from a friend who posted to FB a picture of a beer advent calendar she was given. 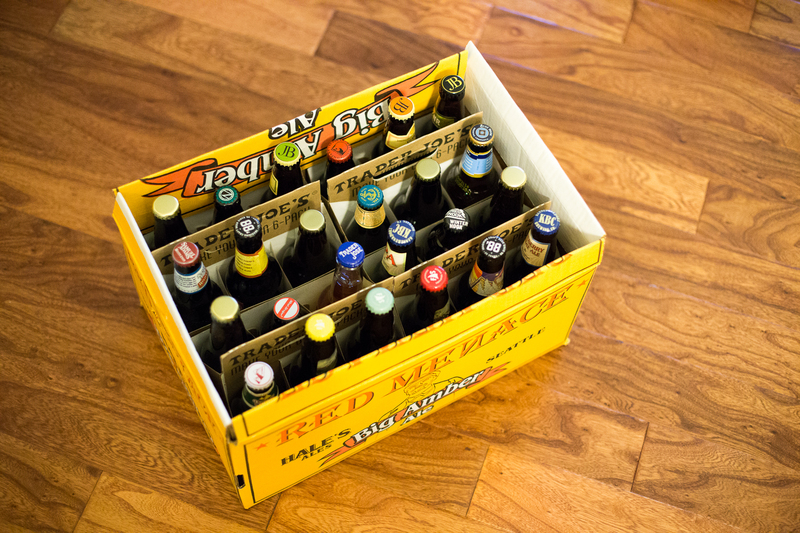 …A random collection of craft beers, each one different. J thought it was the coolest thing. Since his birthday was at the end of November, it was perfect timing for a birthday gift. I checked, but the version my friend had was sold out in less than 2 days. Instead of giving up, I created my own version. I shopped for 24 unique individual beers. Trader Joe’s was a great source, since you can pick and choose any of their beers and buy any bottle as a solo. 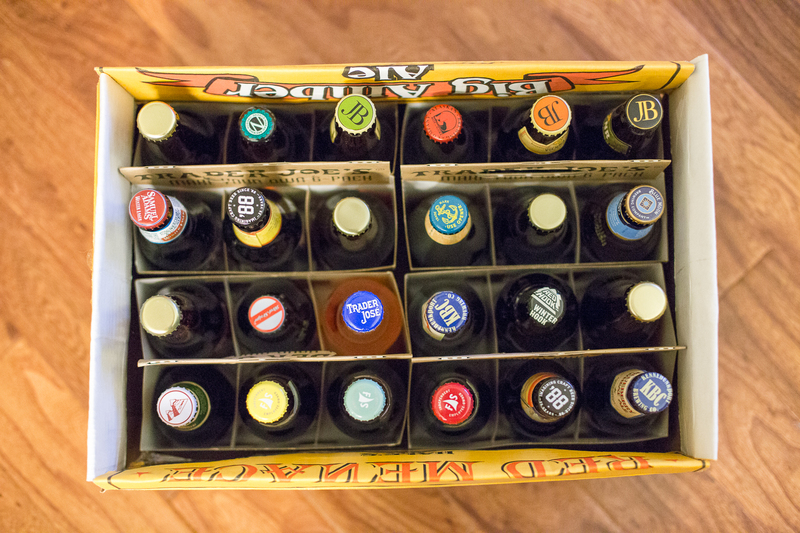 They even provide empty 6-pack holders so you can create your own customized pack of 6. 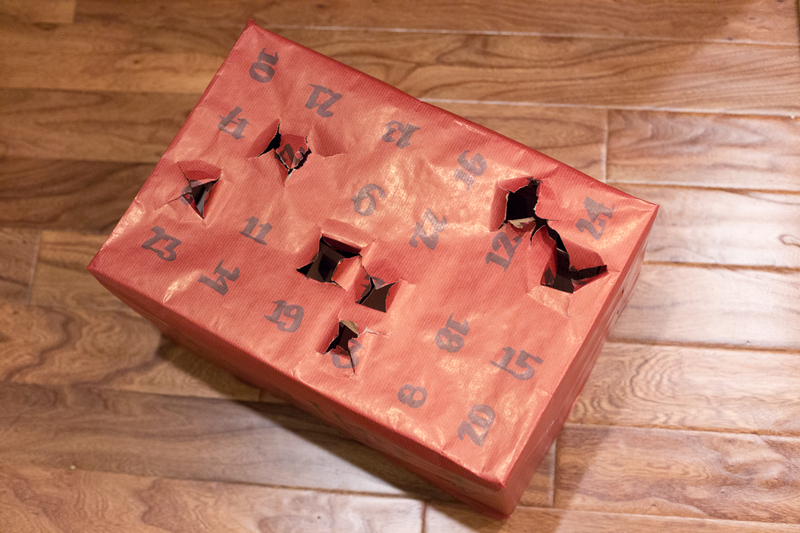 I used an empty beer case to package the 24 unique bottles, wrapped it up with gift wrap, and wrote a unique number overtop each bottle in random positions around the case, and voila – a Beer Advent Calendar. J thinks it’s pretty cool, and for fun he’s keeping track of how many of the beers he’s being introduced to for the first time.